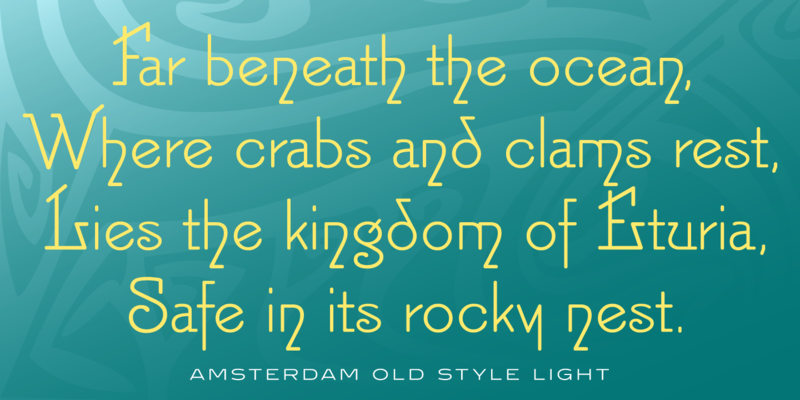 Amsterdam Old Style is a decorative font family with a small x-height. 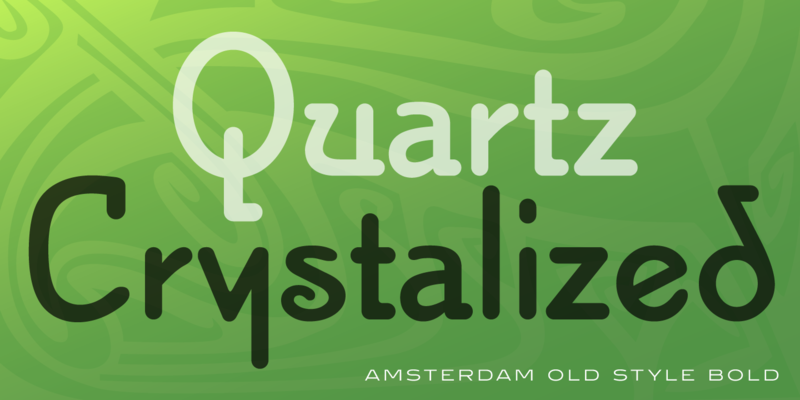 It was created by Steve Jackaman (ITF) in 1999, and was inspired by a typeface from an old wood type specimen book from the turn of the 20th century. 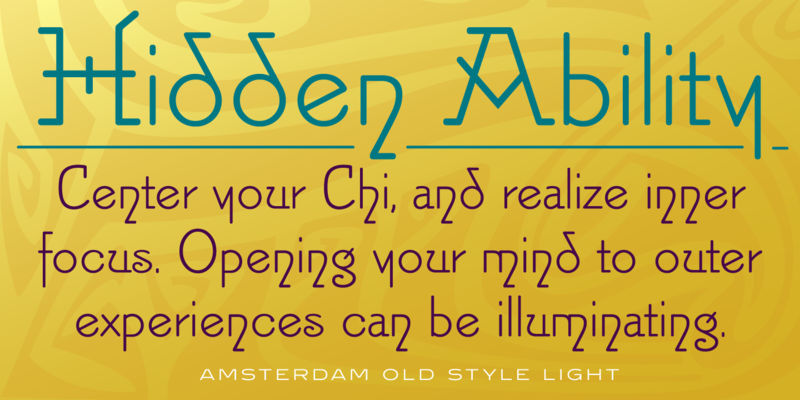 Amsterdam Old Style’s mix of angular intersections and unusual curls gives it a unique “1920s” or spiritual feel, and it sets well in display, subhead, and text. 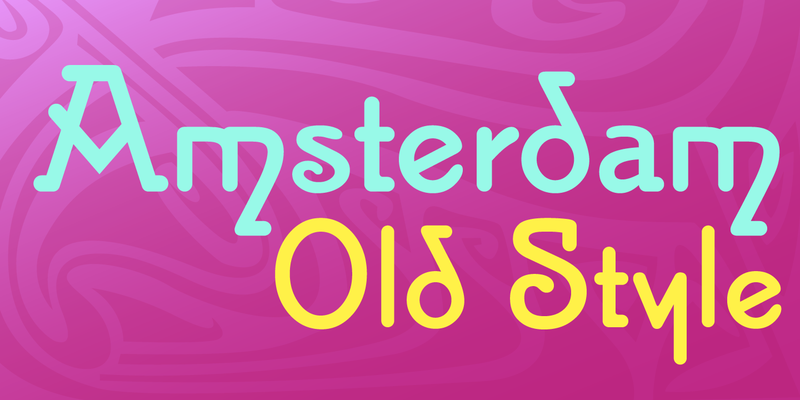 Amsterdam Old Style is a trademark of International TypeFounders, Inc.